Wondering if there is a conventional way to begin your email signature and separate it from the text of your messages? Find out here how to employ the classy, standard email signature separator. 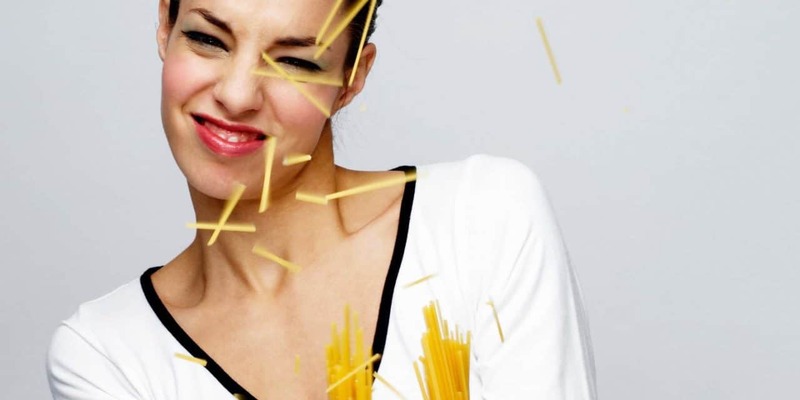 Why—oh, why!—is it impossible to take one strand of spaghetti at its ends and break it in half by bending? Why do we always get four pieces (or maybe three) instead of two? This question has long been on scientific minds. There is, it seems, an answer, though: we’ve not been twisting the spaghetto right. If you twist the strand of spaghetti at 270°, its untwisting counteracts the shockwave sent through the spaghetto as it breaks. It seems that wave otherwise causes the additional fractures. Put two dashes followed by whitespace character (“-- “) on a line of their own above the signature’s text and content. Note: Some email programs and services will add the separator automatically before your custom signature. Do send yourself a test message to find out if yours does. Why should I use the standard separator? What are the benefits? The standard delimiter marks the beginning of the signature in a unique way. This helps readers identify the end of messages; more importantly, though, it also lets email programs and services identify signatures easily. hide the signature and all quoted text initially altogether, only to be viewed on demand. Do I need to use the standard separator? If your signature block is obviously identifiable (which is certainly is), there is no special urgency to use the standard delimiter. It is a nice touch, though, and a place to display your internet acumen. Is the standard signature separator an Internet standard, and does it appear in an official RFC document? The standard delimiter is mentioned as a convention used in Usenet news as well as email in RFC 3676 (under “4.3. Usenet Signature Convention”).